In today’s data-driven workplace, the name of the game for organization researchers is employee performance optimization. Traditionally, employee workplace performance has been studied at the individual level; figuring out how to make employees more productive versions of themselves. However, it has become imperative to consider team performance optimization as the majority of modern work has become more and more team based. In fact, within most modern organizations (as well as government and academic institutions), teams have become the basic unit in which an organization operates. In order for organizations to stay competitive, management should not only focus on how their employees are working individually, but also how they work together. 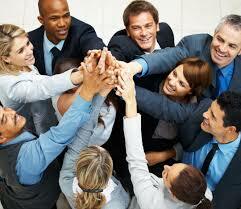 Recent studies have shown that employees who work in teams tend to achieve better results through collaboration. Faster innovation, improved problem solving capabilities, and the ability to spot mistakes quicker are a few positive outcomes identified by researchers of team-based work. Hence, maximizing an individual employee’s potential may require a better understanding of how well they function within teams in the workplace. An article by Charles Duhigg in the New York Times summarized recent research performed by Google on “building the perfect team”. About 5 years ago Google began a research project in order to examine the key differences between successful and unsuccessful teams. Up until then, most of Google’s research in their People Operations department focused on measuring individual employee performance in order to identify the most capable employees. In terms of team building, most executives at Google had believed the perfect team could be constructed by combining the best employees identified by their performance measures. However, there had never been any research into how effective this method of team building really was. This lead to the birth of what is now known as Project Aristotle, a study of hundreds of Google teams in order to figure out why some succeed and others do not. After initially struggling to find patterns within the massive amount of data collected, Project Aristotle has produced a few meaningful insights. Results showed that it wasn’t the specific members of a team, or the “who” part, that made a team successful. It was “how” the team members treated each other that really counted. Specifically, the researchers ended up concluding that understanding and influencing the group norms of a team was the key to improving a team’s performance. Group norms, or unwritten rules that govern a team, led to team members feeling a sense of value within their team and a comfort in sharing their beliefs and feelings. Although not all successful teams at Google experienced the same structure and behaviors, each successful team had built in group norms which dictated how to treat team members. Hence, these findings pointed towards the trend that the more successful a team was, the more sensitive each team member was to each other and the established group norms. Additionally, a concept called “Psychological Safety” was deemed highly important to workplace teams. Psychological Safety, defined by Harvard Business School professor Amy Edmondson, is the “shared belief held by members of a team that the team is safe for interpersonal risk-taking.” Teams that experience Psychological Safety tend to distribute conversational turn-taking evenly and have high “average social sensitivity” – meaning team members are aware of how others are feeling based on social cues. In other words, successful workplace teams show characteristics of non-work related friend groups, where interpersonal trust and mutual respect is fostered. In response to the findings of Project Aristotle, the researchers were able to teach employees within Google that no one wants them to “check their personalities at the door.” Putting on a “work face” would inhibit them from forging real bonds with their co-workers, bonds that will allow for a psychologically safe team environment. Although the findings of this research project are not groundbreaking, as most successful managers would probably tell you that they consider team member sensitivity important, they support the need for a human element to be stressed in building successful workplace teams. The challenge that organizations may face as a result of these findings is figuring out how to open up workplace teams to these human conversations, which can be a difficult task. Project Aristotle’s findings are important because of what Google employee Matt Sakaguchi said, “It’s easier to talk about our feelings when we can point to a number.” However, sometimes there are no numbers to point at, and only humans to consider. A successful workplace team can figure out how to achieve their goals while taking each team member into consideration. Your article touches on some very important aspects of developing productive and valuable teams. However since every team is made up of individuals, when every member learns to utilize more of her/his potential with personal development, the team can be more effective. In addition when they work on themselves, they will learn and/or improve their communication skills which will eliminate communication breakdowns and result in empathy as well as sensitivity toward team members.